At 2gether we are supportive of the people we care for in the community and aim to provide a fully responsive service to everyone who needs it. This is the same approach we take for our employees. We look to value the skills and experiences of those we work with, whether they are service users, carers, families or those looking to work with us. 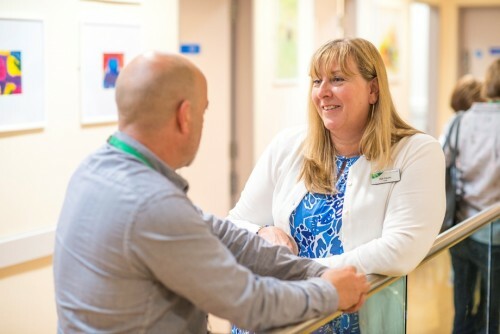 We aim to provide our employees with roles that they will find rewarding and interesting while making a difference to patients, carers and families. At 2gether we want to offer you the opportunity to excel in your chosen career and we will support you while doing this. We want to give you the chance to have your ideas and experiences valued and taken into account and, as part of that, we will offer you a range of opportunities to suit you and your career development. All jobs at 2gether NHS Foundation Trust are advertised on NHS Jobs. On the site you can also set up email alerts so you are notified of any jobs you may be interested in. Here are just a few examples of the huge range of roles available at 2gether NHS Foundation Trust. Our current vacancies can be found on the NHS Jobs website.